Join the Friends of Kings Gap for a Holiday Coffee House on Saturday, December 8th starting at 6:00 p.m. Enjoy coffee, conversation, music, and light refreshments. Phyllis Chapell and Steve Jewitt will provide the music for this event. The Cameron-Masland Mansion will be decorated for the holidays. The Coffee House is free, but donations will be kindly accepted. For more information, call June Morgan at 717-377-7468 or send e-mail to juneewm@centurylink.net. Phyllis Chapell, named one of the top 500 jazz vocalists of all time by JazzTimes/Downbeat, performs a unique mix of originals, folk, jazz and international music, including songs in up to 13 languages from the U.S., Brazil, Latin America, Europe, Africa, and the Middle East. 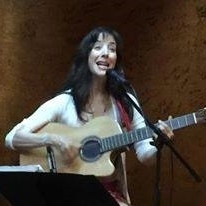 She is accompanied by multi-instrumentalist Steve Jewett, who has performed in countless venues in the MidAtlantic region, as a solo guitar player (classical as well as rock, country, folk and blues) and with his band of the Jewett Brothers. In addition to guitar, he plays mandolin and percussion…and one of his special gifts is his knowledge of North Indian classical music on the sitar. Steve Jewett fills out the spectrum of this multi-dimensional, multicultural show. www.phyllischapell.com.